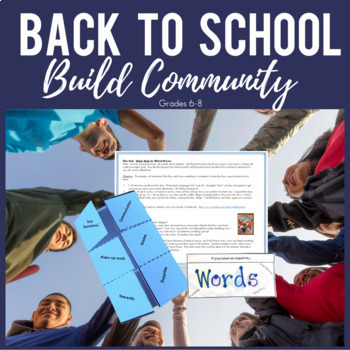 Back to School Activities: Interactive Notebook, Games & Community Building! Back To School BUNDLE - ALL 6 of my Back to School Resources! 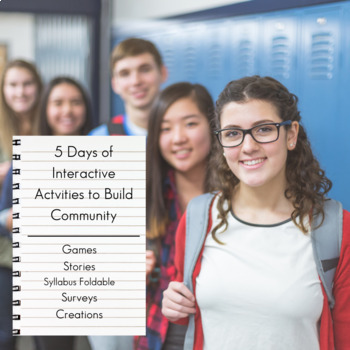 Go Back to School with one full week of middle school plans with TEN activities to build community, go over rules/procedures, and have fun with interactive notebooks, active getting to know you games, surveys and more! ★ Day 1: Icebreaker game, Stone Soup reading or watching (book not included but a link to a video of book & summary of the book is included), discussion, and expert cards craftivity. ★TEN Icebreakers with an "All About Me Activity"
★Back to School: FIVE days of Middle School Plans to "Go Pro". 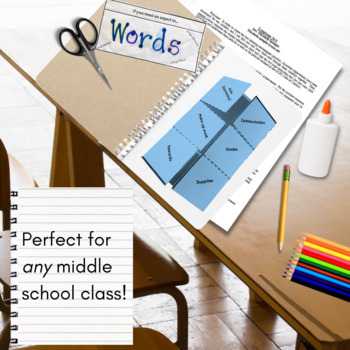 ★Back to School: Start Strong with 1 WEEK of Activities for Middle School! ★OR GET THE BUNDLE of ALL my Back To School Resources!